Over the last years, Deep Learning has become one of the most popular research fields of Artificial Intelligence. Several approaches have been developed to address conventional challenges of AI. In computer vision, these methods provide the means to solve tasks like image classification, object identification and extraction of features. 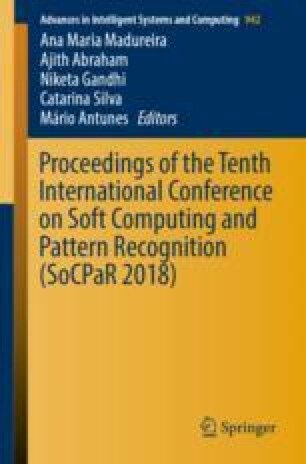 In this paper, some approaches to face detection and recognition are presented and analyzed, in order to identify the one with the best performance. The main objective is to automate the annotation of a large dataset and to avoid the costy and time-consuming process of content annotation. The approach follows the concept of incremental learning and a R-CNN model was implemented. Tests were conducted with the objective of detecting and recognizing one personality within image and video content. Results coming from this initial automatic process are then made available to an auxiliary tool that enables further validation of the annotations prior to uploading them to the archive. Tests show that, even with a small size dataset, the results obtained are satisfactory. The work presented was partially supported by the following projects: FourEyes, a Research Line within project “TEC4Growth: Pervasive Intelligence, Enhancers and Proofs of Concept with Industrial Impact/NORTE-01- 0145-FEDER-000020” financed by the North Portugal Regional Operational Programme (NORTE 2020), under the PORTUGAL 2020 Partnership Agreement, and through the European Regional Development Fund (ERDF); FotoInMotion funded by H2020 Framework Programme of the European Commission.